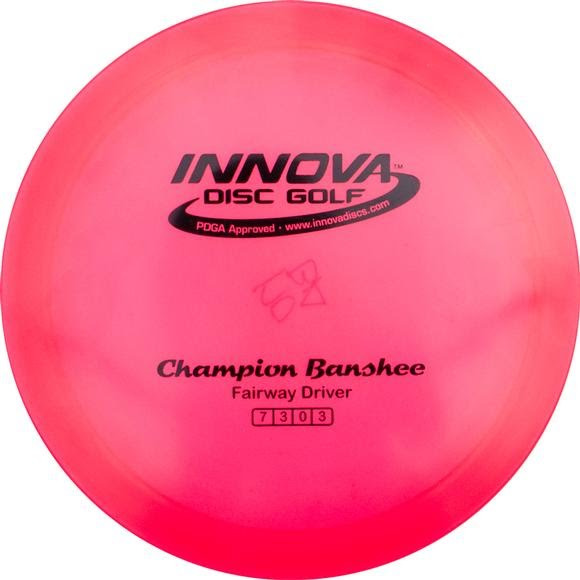 The Banshee is a versatile and dependable overstable driver. It has a high degree of predictability, throw after throw. You can count on a Banshee to perform even into the wind. It is an excellent disc for sidearm, backhand and overhead throws, offering predictable, dependable flights. Best Choice for: Headwind driver, spike hyzers, sidearm driver, hyzer shots, players turning over other discs.